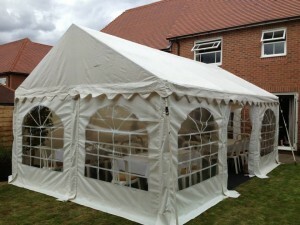 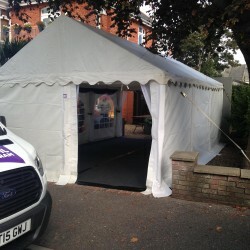 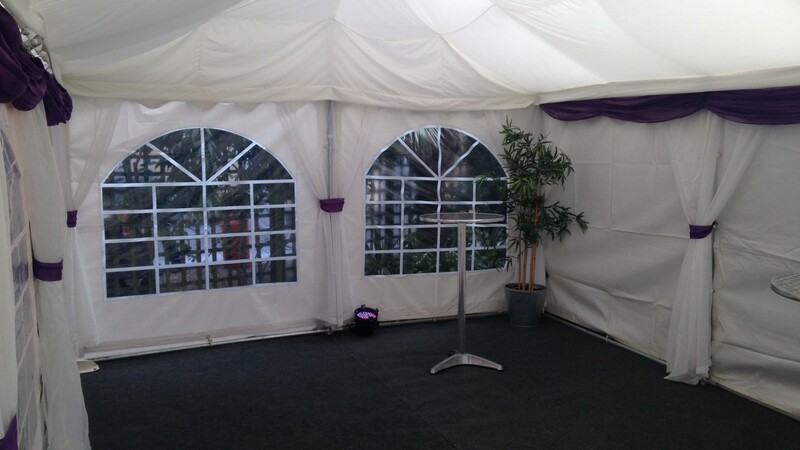 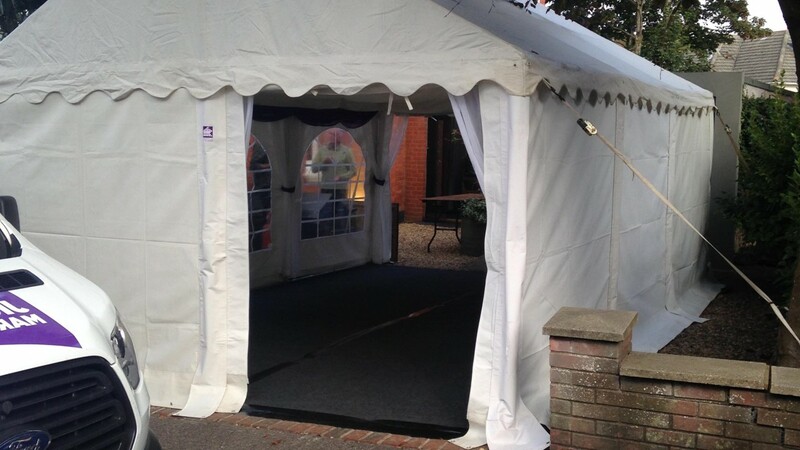 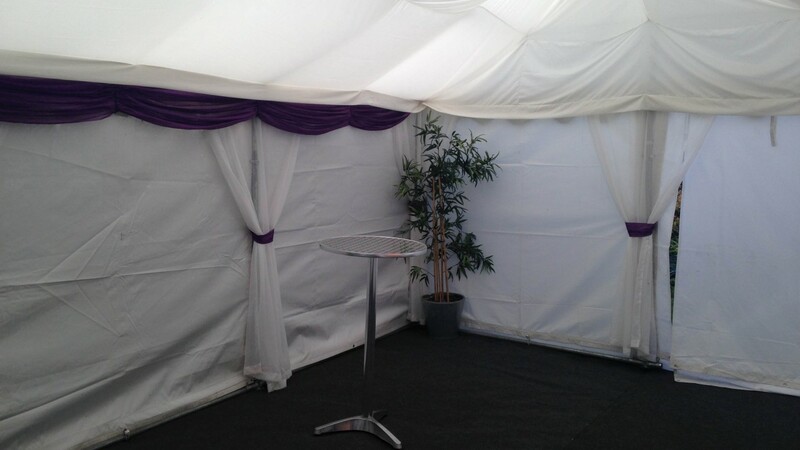 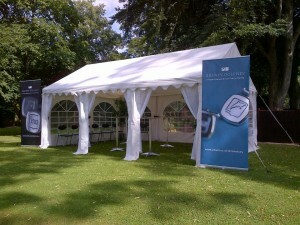 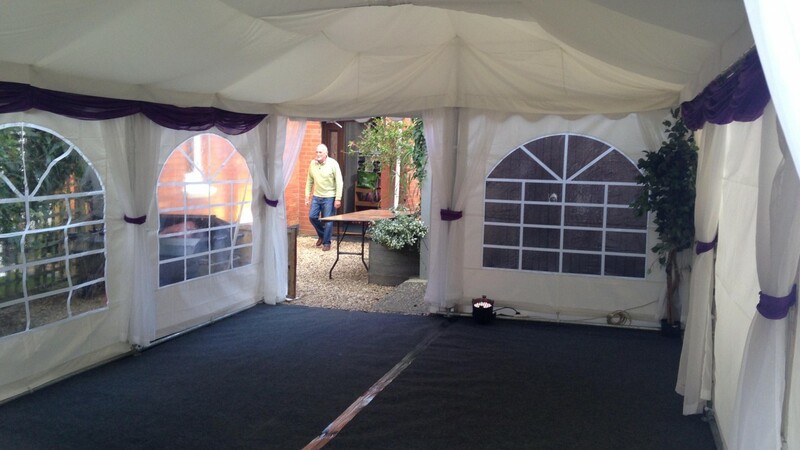 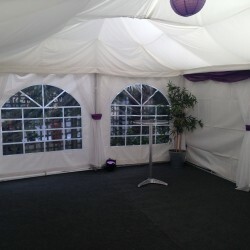 Not one but two Jigsaw 24 marquees were needed for this party in Bournemouth! 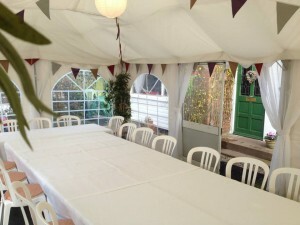 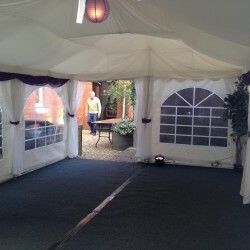 One served as an entrance marquee for welcoming guests and the other as a drinks and food tent for everyone to gather in. 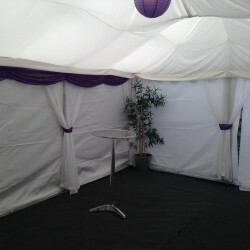 Our packages are completely customisable so if no furniture is needed we can take this out and swap it for something else. 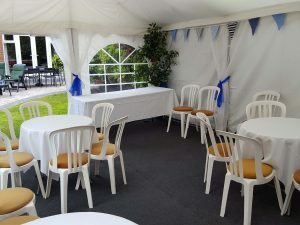 The poseur tables combined with subtle up-lighters in these marquees were perfect for the relaxed party atmosphere our customer was looking for!